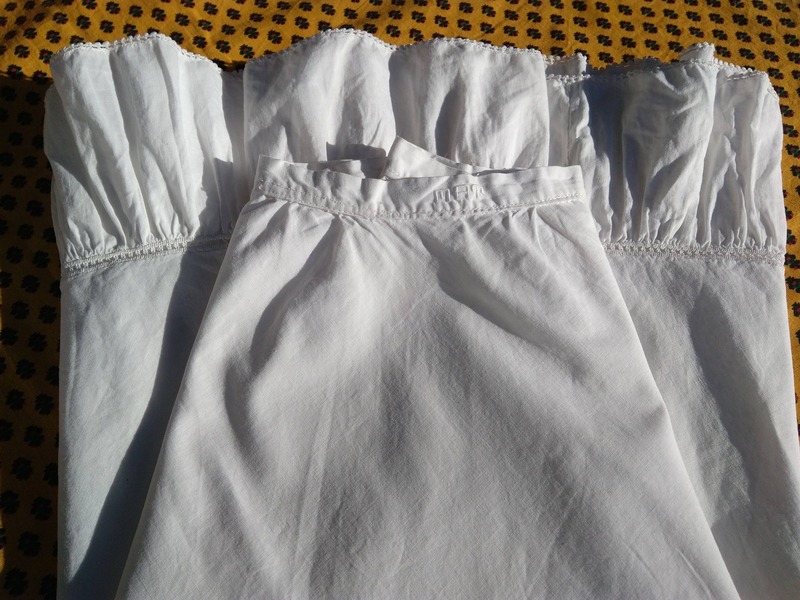 Long Petticoat Ruffled Tier Bottom. 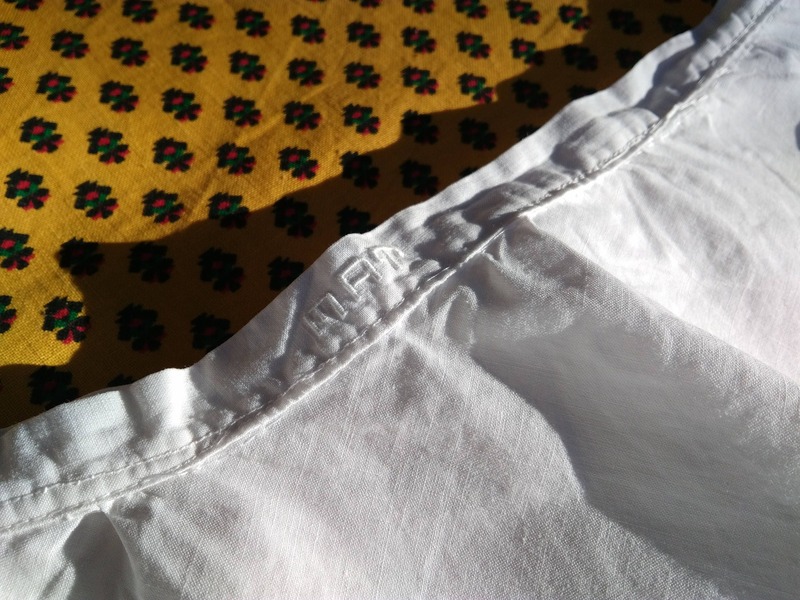 Front Monogrammed "Nat" . 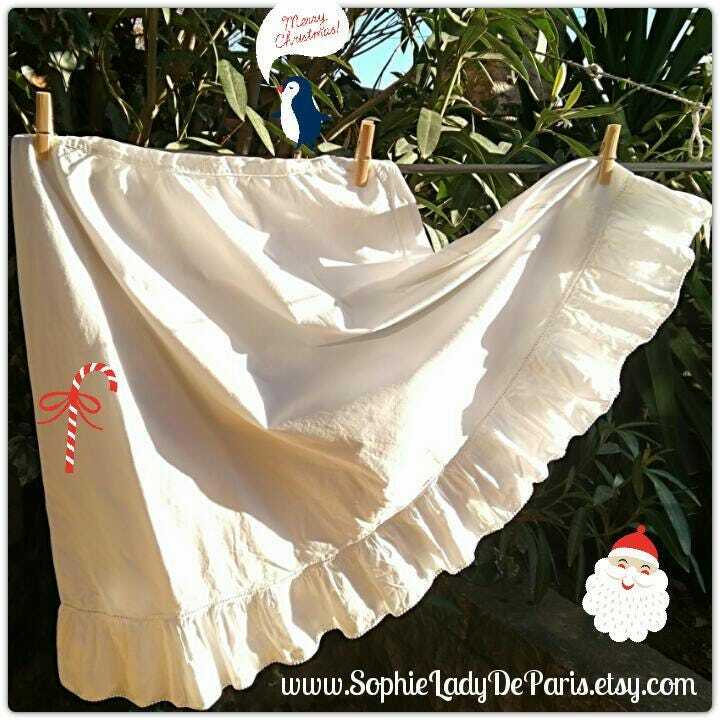 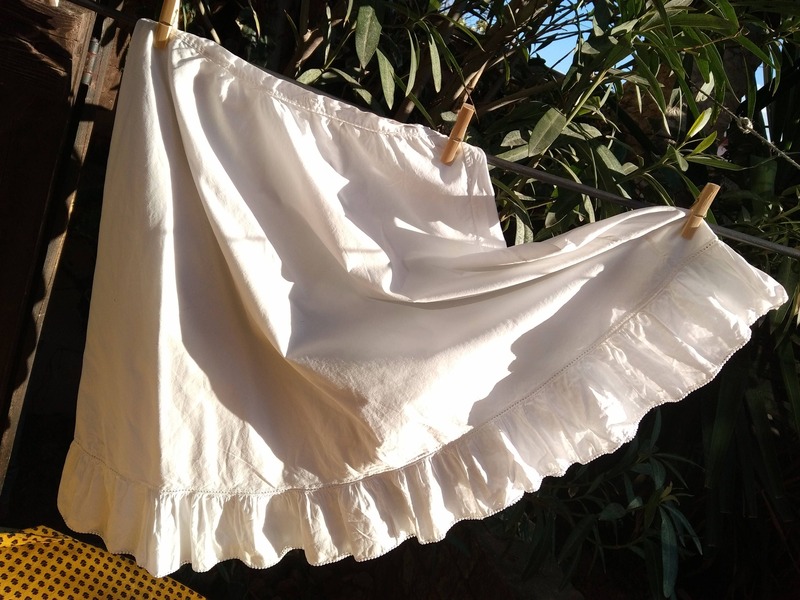 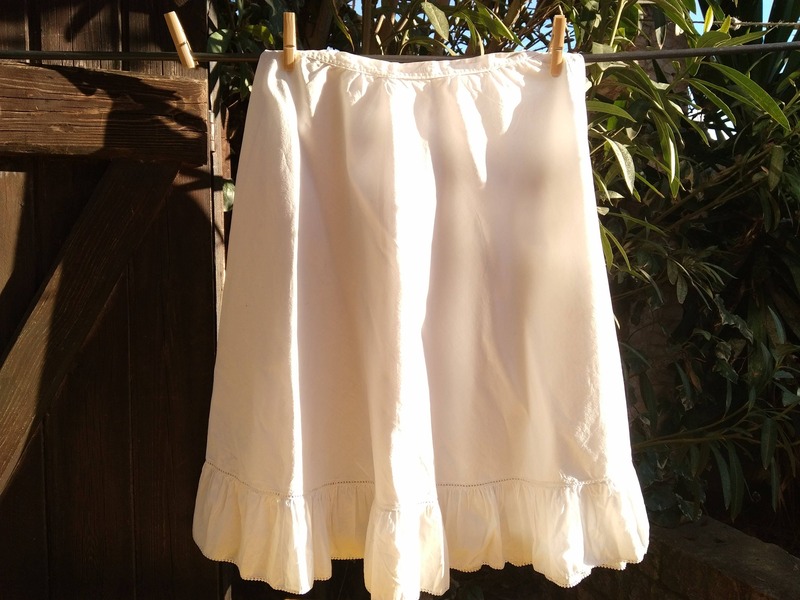 Antique French half slip .Made of white cotton. 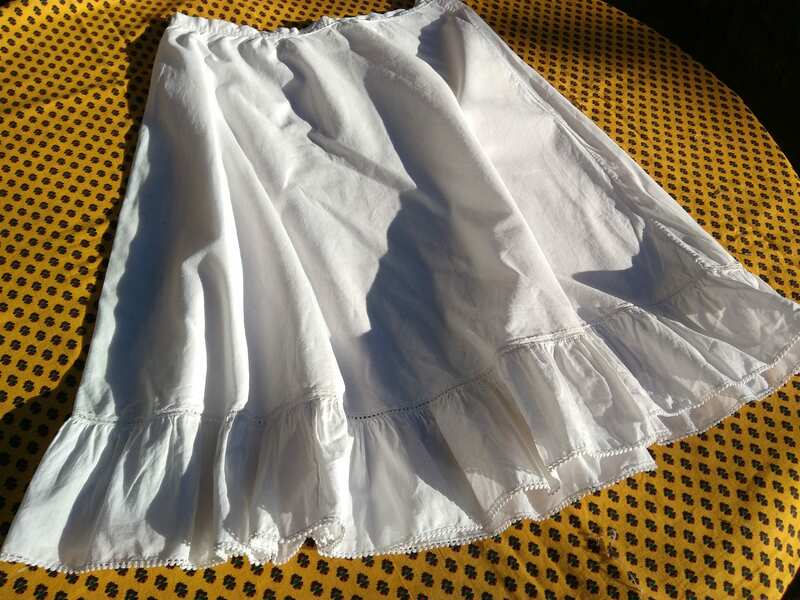 Good Vintage condition (one Darning on back). 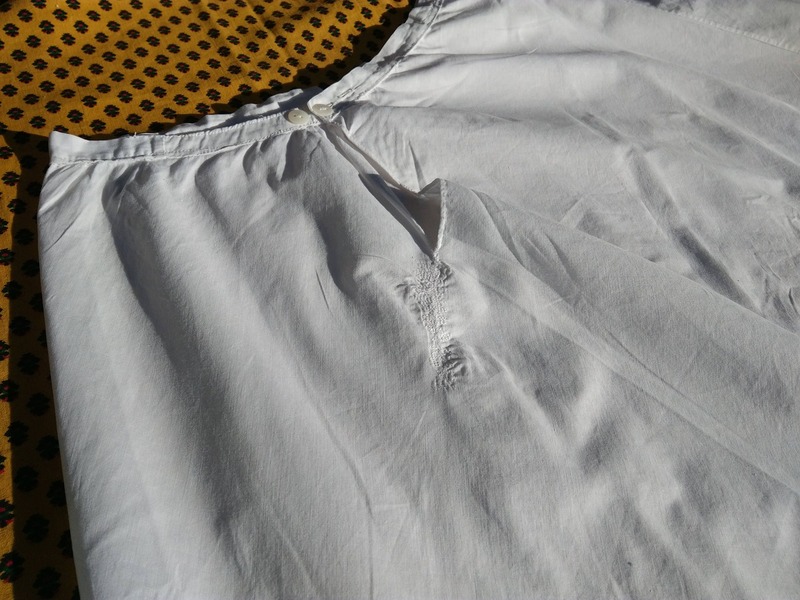 Bottom width : 68 in. 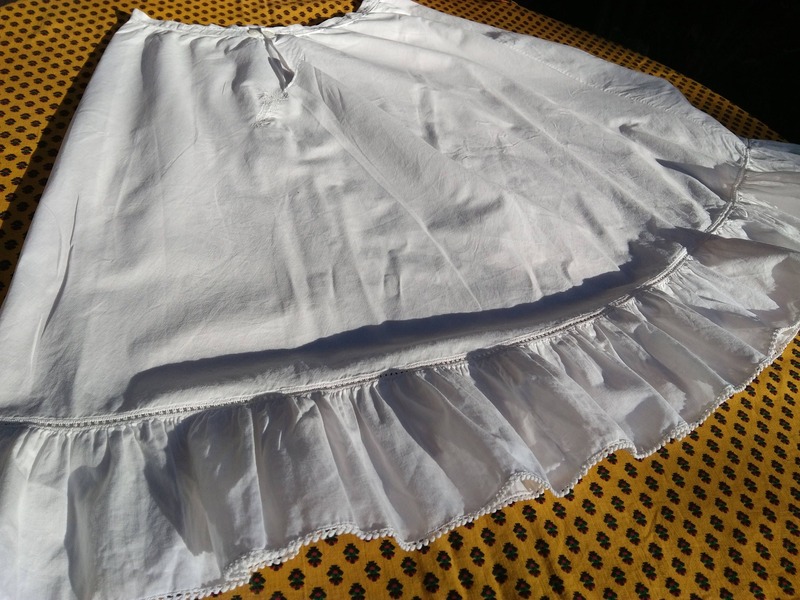 Beautiful antique under skirt to wear or keep as collectible.